C. Clayton Walker III is a native of Wilmington, NC, and resides here with his wife Liz , son Chaz and daughter Camille. 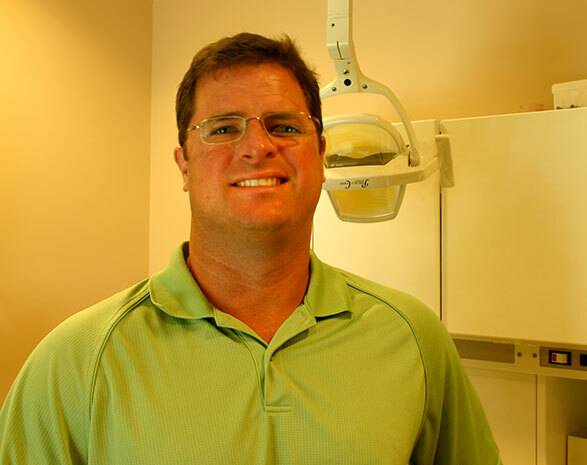 He went to school at UNC Wilmington and UNC Chapel Hill, where he received his dental degree, and is a member of the American Dental Association, the NC Dental Society and the Wilmington Tri-County Dental Society. His easygoing manner, combined with his professionalism—and that of his staff—make for solid, lasting relationships with his patients, many of whom have been with him 22 years or more. If you´re ready for top-notch dental care in a friendly, comfortable environment, contact Dr. Walker today. Junction Park Dentistry strives to provide the best dental care in a caring, comfortable environment. We believe in the theories of modern dental treatment, which place heavy emphasis on preventive care, rather than “fix-it-when-it-hurts” reactionary care. We are strongly committed to helping our patients keep their smiles for many years to come. Demand Force, email and text messaging. If you need to come in before your next scheduled appointment, just give us a call. You will be worked in as quickly as possible. Dr. Walker is a participating provider for Delta Dental Insurance. We are happy to file ALL insurances, but the patient is responsible for their deductible and co-pay at time of service. We accept cash, checks, Visa, Master Card, Discover, American Express and CareCredit. We accept Blue Cross and Blue Shield of NC (BCBSNC), CIGNA and Delta Dental Insurance plans.